Maine has a population of 1,286,670 which is ranked 40th among the states. Fish, hunt, stay, eat, camp or do any of the other things that life in Maine provides. It's The Way Life Should Be.. Exciting summer adventure for boys and girls located in southern Maine - Camp Nashoba North is located on Crescent Lake in the Sebago Lake region of southern Maine. Nashoba North is nestled on seventy acres of pine woods and open fields. Campers enjoy breathtaking mountain views and serene peacefulness. Nashoba North offers crystal clear water for swimming, sailing,waterskiing, windsurfing, canoeing and fishing. Nashoba North offers four, seven, and eight week sessions to approximately 200 boys and girls between 7 and 15 who hail from many countries around the world. Nashoba North is operated by the Seaward family, who have been in the camping field for over 40 years. Camp Nashoba North is accredited by the American Camping Association. Northern Pines, located in Raymond, Maine, on the shores of Crescent Lake. Northern Pines Bed and Breakfast Plus offers individuals and small groups a place apart to let go of stress, to enjoy nurturing, to move through transitions, to improve in health in body, mind, and spirit, with our natural whole foods breakfast, natural lakeside environment, and spa services. Northern Pines B+B Plus offers a range of spa services, including Massage Therapy, Salt Glow Aromatherapy, Moor Body Wrap, Foot Reflexology, Transformational Breath Sessions, Herbal Facials, plus Each service is $60.00 with a 50% advanced deposit at registration. Not all services are available every day. Enjoy swimming, canoeing, hiking or just relaxing in a hammock under the tall pines. The Atlantic Oakes By-The-Sea is set on the former estate of Sir Harry Oakes. This charming home derived its name, The Willows, from the graceful willow trees that once lined the drive. The Atlantic Oakes located on Frenchman's Bay on 14 acres of lush lawns and gardens. There are 8 distinctive guestroom buildings, many are weathered shingle style cottages. Upon arrival at the Oakes, we'll take care of you so you can relax and have a good time. As owners and full-time residents we know every nook and cranny of Mount Desert Island and will be more than happy to help you design a memorable vacation. The Willows was built in 1913 for Miss Charlotte Baker, a patron of the arts who operated a finishing school for girls in her native Boston. The entire project was completed for $50,000. Local newspaper accounts of the time clearly thought this to be quite an extravagant sum to spend on a summer home. The name Willows was chosen because of the stately willow trees that lined the curving entry drive. Miss Baker enjoyed her home for a number of years and was active in the arts in the summer community. The great room with magnificent views of the bay was her conservatory and she frequently hosted concerts, poetry readings, piano recitals and other affairs connected with the summer art scene. When not otherwise in use, the conservatory served as Miss Baker's art studio, where she liked to paint scenes of Frenchman's Bay as viewed from her picture window. 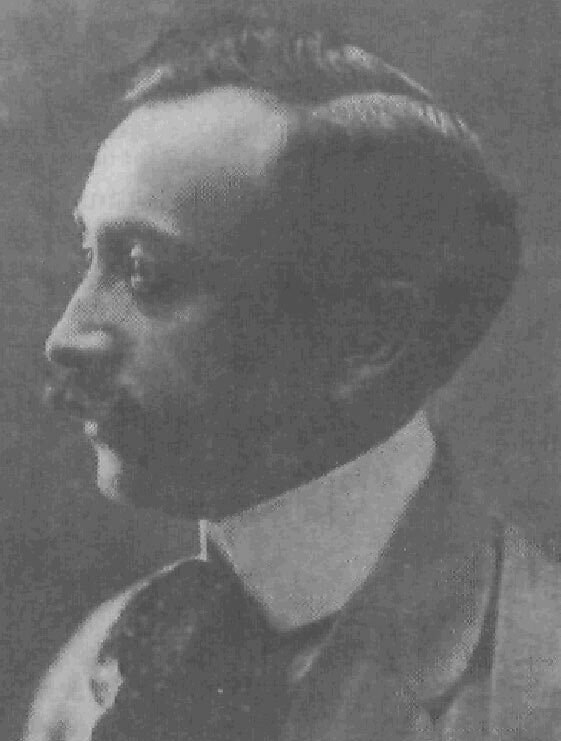 After Miss Baker's death, The Willows was acquired by Sir Harry Oakes. Oakes was a multi-millionaire businessman who also had homes in England and the Bahamas. Lady Oakes preferred to summer in Maine to escape the oppressive summer heat of the Bahamas and Sir Harry would join her when the demands of his business empire allowed. In the summer of 1947, a wild fire destroyed much of Bar Harbor including most of the summer homes. Where once there were over 200 summer estates, after the fire only a few remained and Lady Oakes disposed of the property since none of her former acquaintances rebuilt. The property changed hands a number of times and fell into disrepair until the Cough family acquired it, lovingly restored the Willows and began to operate it as a Bed and Breakfast. You can't take two steps in any direction without finding yourself inside an art gallery or museum in this town. From the sprawling Virginia Museum of Fine Arts on the Boulevard to the campy, alternative Eggspace, nestled underneath a highway on the South Side, Richmond is rife with art and culture. Did we mention the Poe Museum? The Museum of the Confederacy and White House? 1708 Gallery? For art's sake, get out there and explore! Looking for a few thrills? Central Virginia is the right place. With three major theme parks, Busch Gardens Williamsburg, Paramount's Kings Dominion and Water Country USA, within an hour's drive of Richmond, the area is a hotbed for serious roller-coaster and water-slide junkies. But don't leave the weak-at-heart at home. Human beings of every shape and condition throw on bathing suits and shorts to drive to Virginia to get a taste of the theme parks' other attractions. Next time you're racing from Richmond to hit the rollercoasters at Busch Gardens, or heading up 64 from Williamsburg for a little River City nightlife, you may want to allow yourself an hour or two for some outstanding history and architecture. Nestled between Williamsburg and Richmond along the James River are sprawling and majestic plantations, each with its own distinct personality and history. The gothic allures of Edgewood Plantation include the ghost of Lizzie Rowland, who died of a broken heart waiting for her sweetheart to return from war. J.E.B. Stuart stopped there for coffee on his way to meet General Robert E. Lee as well. Then there are the secret passages and magnificent gardens of Westover Plantation, home to William Byrd II, founder of Richmond. The plantation is a mecca for history buffs and green thumbs. Berkeley Plantation, halfway between Richmond and Williamsburg on historic Route 5, was the site of the first 'real' Thanksgiving in 1619, a full year before the Pilgrims landed on Plymoth Rock. For liquor enthusiasts, Father George Thorpe, an Anglican priest, distilled the first batch of bourbon on the estate grounds. Maybe that's the reason the first 10 presidents of the United States visited Berkeley. . . We'll let you decide. Think Richmond is just an urban attraction? Make room for the bloom. Looking for a decent spot to plan a picnic? Check out Maymont, Richmond's perfect spot for a picnic blanket. Once a 100-acre private estate, Maymont is now a free park open to the public with everything from intricate, manicured gardens to a brand-new Nature Center with frolicking otters and creatures from the deep. Want a little neato in your nature? Don't miss the Lewis Ginter Botanical Gardens with its more than 25 acres of gardens, including one of the largest and most diverse perennial gardens on the East Coast. And for the holidays, make sure you visit Lewis Ginter and its Gardenfest, when the gardeners rig up a garden of glow-in-the-dark blossoms with 450,000 Christmas lights.